Crystal Bowersox, the 24-year-old from Elliston, Ohio, was praised for her version of "People Get Ready." It’s Shania Twain week on American Idol, which airs locally on Q Channel 11. 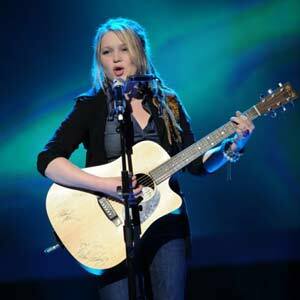 Season 9’s Top 6—Crystal Bowersox, Siobhan Magnus, Lee DeWyze, Aaron Kelly, Michael Lynche, and Casey James—will take on the songs from the Grammy-winning country-pop singer. Twain, who was one of the guest judges during the auditions for this season, is the singer behind hits like "You’ve Got a Way," "There Goes The Neighborhood," "Man, I Feel Like A Woman," "It Only Hurts When I’m Breathing," "Forever and For Always" and "You’re Still The One." Last week saw the return of the TV special Idol Gives Back, which featured stars such as Alicia Keys, Carrie Underwood, The Black Eyed Peas, Annie Lennox, Joss Stone, Jeff Beck, and Elton John. Thursday last week was also elimination night and Tim Urban, the 20-year-old from Duncanville, Texas said goodbye to his Idol dreams. It was also not a good week for Casey James, the 27-year-old from Fort Worth, Texas, who joined Urban in the bottom two. Meanwhile, Crystal Bowersox, the 24-year-old from Elliston, Ohio, is considered to be one of the season’s frontrunners. Her version of "People Get Ready" was one of the most praised performances of the night. Can Casey James bounce back? Will it be a good night again—after several missteps—for Siobhan Magnus? Who will shine? Who will disappoint? American Idol airs Wednesday and Thursday, 6 pm (with same day replay at 8 pm) on Q Channel 11.